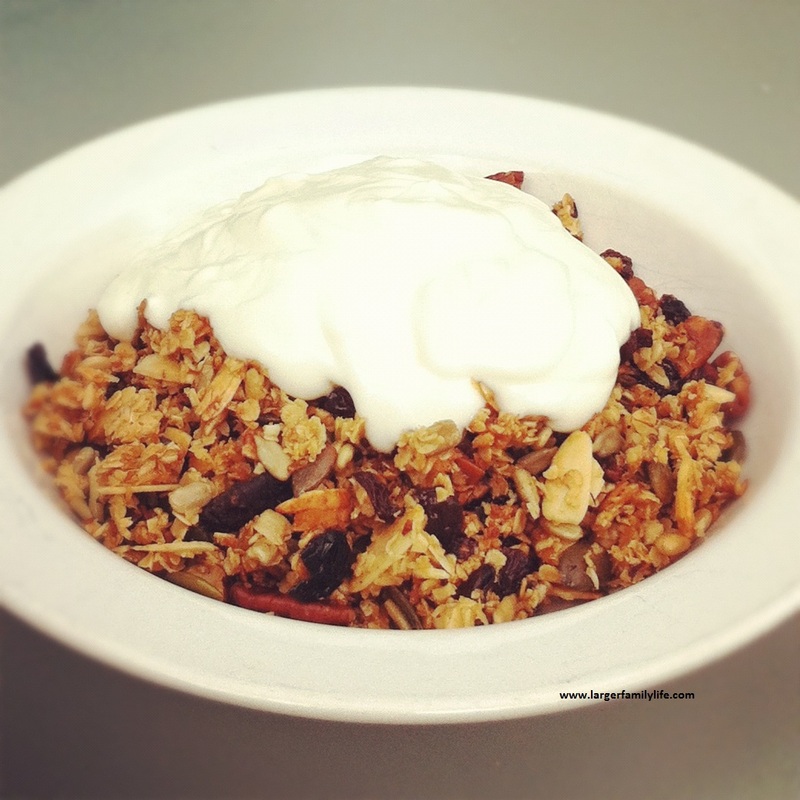 Granola is a wonderfully filling breakfast option. Eat it with milk poured over as you would with normal cereal or mix it up with some yoghurt instead. You could also add some fresh fruit to it too. A small helping of granola goes a long way and its supply of nuts and seeds releases energy slowly throughout the day preventing the mid-morning snack attacks from setting in. It doesn’t take long to knock up a big batch of homemade granola and it can keep well in an airtight container for several days. It doesn’t tend to last very long in our house though! You may want to scale this recipe down if your family isn’t as big as ours or if you just want to make a smaller quantity! Put all dry ingredients in a very large bowl and mix thoroughly. Add olive oil, maple syrup and vanilla extract and stir until all ingredients are well coated. Spread out onto baking trays in a single layer. Bake for 15 minutes until lightly toasted, stirring it up halfway through.